It often happens that people begin to plan a trip to Costa Rica in July for summer vacation and then when they find out that July is the start of the rainy season in Costa Rica, they get wet feet. It doesn’t help that almost everyone else is planning a trip to Costa Rica in July for summer vacation, bumping prices back up to high season levels. However, there’s plenty of reasons why a trip to Costa Rica in July is still a great idea. Officially unofficially, July is low season and so there can be some really incredible rooms available at really affordable prices. Also, most of the country experiences what the locals call veranillo, or, “little summer” in late July where the sun comes out, the beaches flourish with beautiful sunbathers, and the weather is fine. 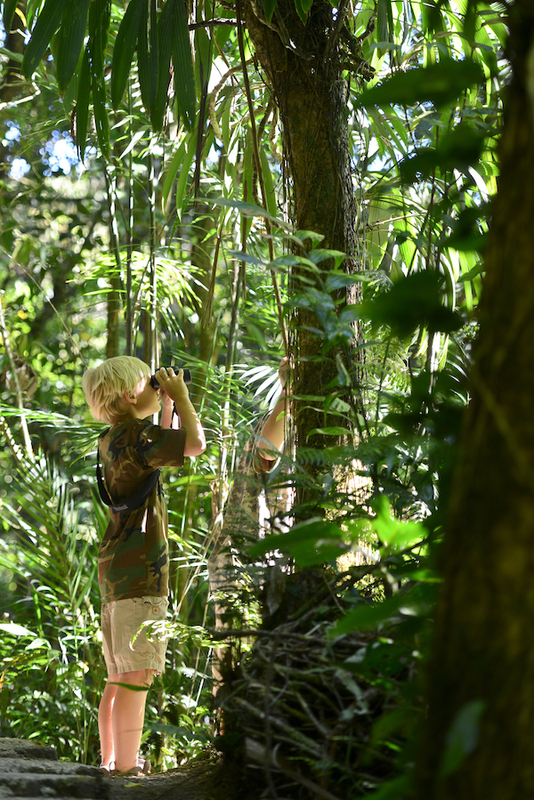 Read on to learn more about planning a trip to Costa Rica in July. July in Costa Rica pertains to the “shoulder season” between the dry first half of the year and the soaking wet of the second half of the year. Nationally, the days tend to be wetter and it’s more and more likely that visitors will experience a rainstorm in the afternoon. On the Caribbean side, precipitation levels tend to peak in July resulting in road closures, minor mudslides, and high rivers. Humidity levels in July can reach up to almost 100% at times. Nevertheless, the second half of July has a weather phenomenon known by locals as veranillo de San Juan or “St. John’s little summer.” Though not scientifically proven as a meteorological phenomenon, locals have noted that most years around the celebration of St. John’s Day, an increase in winds tends to flush out the rain clouds and leave the country bathed in dry sun. It may just be wishful thinking or smart marketing by the tourist companies, but each year when the sun comes out in the second part of July and early part of August, locals attribute it to the famous veranillo of July. There are several superstitions that go along with this little summer. For example, local abuelos (grandparents) may say that the increased winds can bring illness or that wounds won’t heal during this period. On the other hand, given the longevity of this weather phenomenon, going back in time, plenty of farmers actually planned (and continue to plan) their harvest or crop rotations based on the veranillo, which just goes to show how significant it is for Costa Ricans. This is truly a sight to see if you find yourself near Puntarenas or Playas del Coco where this annual celebration of the Virgin of the Sea is celebrated. Fishing boats process out to sea with a statue of the Virgen del Monte Carmelo, the patron saint of Puntarenas. And where there’s a reason to celebrate in Costa Rica, there will also always be children parades, fried foods, loud music and fireworks at night. This day marks the most recent land acquisition in Costa Rica–the annexation of Guanacaste from Nicaragua on July 25, 1924. In typical Costa Rican fashion, the annexation was entirely peaceful–due to the violent wars that Nicaragua was engaged in during this period. The citizens of Guanacaste actually requested to become a part of the Costa Rican nation. Schools usually have a civic act to recognize the day and, especially in the northwestern part of the country, there will be Costa Rican bullfights, cattle shows, fairs, and fireworks. As it is a national holiday, banks and public offices will be closed on this day. Costa Rican students and teachers receive a well-deserved two-week vacation in the middle of July. The dates of this “summer vacation” vary based on the school district and whether the school is private or public. Though not nearly on the same par as national tourism in December and January, many families try to take a few days in July to visit a local beach or tourist attraction. As a result, weekends tend to be more crowded at beaches and in hotels. For a trip to Costa Rica in July, you will definitely want to bring sun gear and raingear. High-quality sunscreen is very expensive in Costa Rica, so it is better to buy it before you visit. In terms of rain gear, a lightweight raincoat and a compact, travel umbrella should be sufficient unless you are planning on hiking deep into the rainforest. Always bring clothes and shoes that won’t be ruined if they get wet. For more information, visit our detailed Costa Rica Packing List article. The Loggerhead and Leatherback Sea Turtles are hatching in Tortuguero – a sight to see! Is it high season? Is it low season? Who knows?! A Visit to the Hot Springs – Rain or shine, you don’t want to miss a visit to one of Costa Rica’s many geothermal hot springs. Sea Turtle Voluntourism or Observation – Nature lovers will always remember the once-in-a-lifetime opportunity to watch hatching turtles under a full moon make their way out to sea. Rainforest Canyoning – Try your hand at this unique adventure sport where a professional guide helps you rappel down a waterfall. 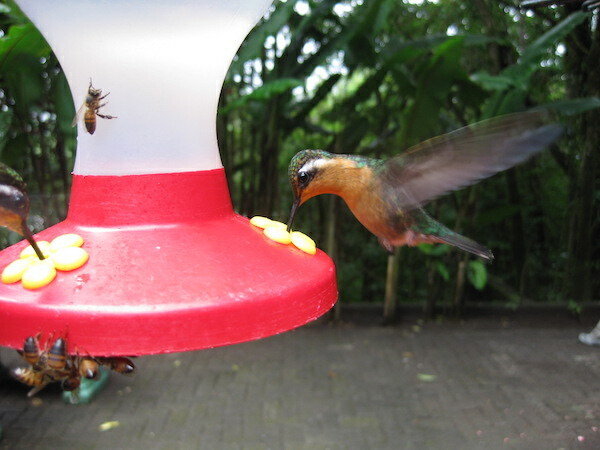 Bird Viewing in Monteverde Cloud Forest – With the help of a bilingual naturalist, you may be able to catch sight of any number of unique, tropical birds. Hanging Bridges Guided Hike – This is a very peaceful, family-friendly way to view the rainforests of Costa Rica. Thrilling views of the canopy and the life within will surround you. Costa Rica is beautiful year-round and July is no different. Though precipitation levels are higher, there is often a short summer during the second half of the month that provides some reprieve. There are also some incredible tours that take place around sea turtle nesting that visitors won’t want to miss. One of the only downsides is that prices and availability tend to be at a premium due to the increase in foreign visitors to the country.